Just beautiful are the only words that can be used to describe this wonderfully appointed home that backs to Blackpool Pond. Hardwood floors throughout the whole first floor. Crown molding and Plantation shutters throughout. Formal dining room with built-ins for all your dining needs. A kitchen that was made for preparing great meals. Glass front cabinets, stainless steel appliances, granite counters and a cozy area for a casual dinner, quick lunch, or just to sit and talk. 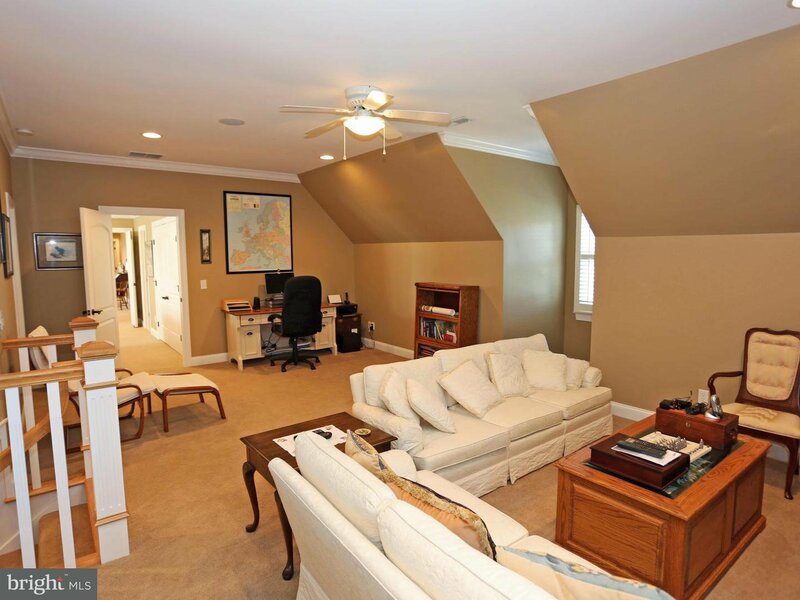 Family room has a wet bar, gas fireplace, built-ins on each side of the fireplace, two story ceiling, and don't forget to check out the "wine cellar" under the steps leading to the second floor. Florida room is sunny and overlooks the landscaped back yard. Master bedroom has his and her walk-in closets and more built-ins. Master bath has separate spa shower and heated towel rack. Two additional bedrooms on the first floor have a jack and jill bath joining them. Currently, they're being used as office/den space. Separate laundry room with lots of cabinets and a mud room for grooming the dog or shedding wet clothes after a storm. Second floor continues the tale of this beautiful home. Two more bedrooms connected by a loft that overlooks the Family room. One of the bedrooms is en suite with a comfortable sitting room, hobby room, and full bath. Second bedroom also has its own private bath. Screened porch, outside shower, two car garage with window boxes that are tied to the irrigation system. It doesn't get any better than this. Every detail has been attended to to make this a place you will certainly enjoy calling "home". See it today before it's gone!